George Sole (June 1, 1903-April 23, 1973) arrived in New York City from Naples, Italy as an infant. 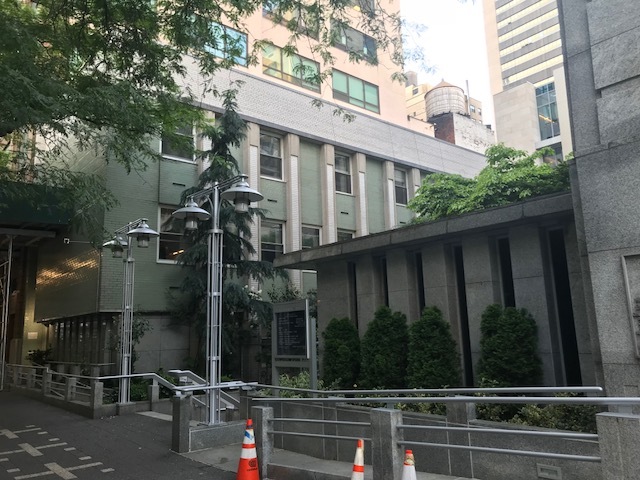 He attended Stuyvesant High School, followed by several professional institutions including Pratt Institute, the Mechanics Institute, New York Structural Institute, and the Beaux-Arts Institute. 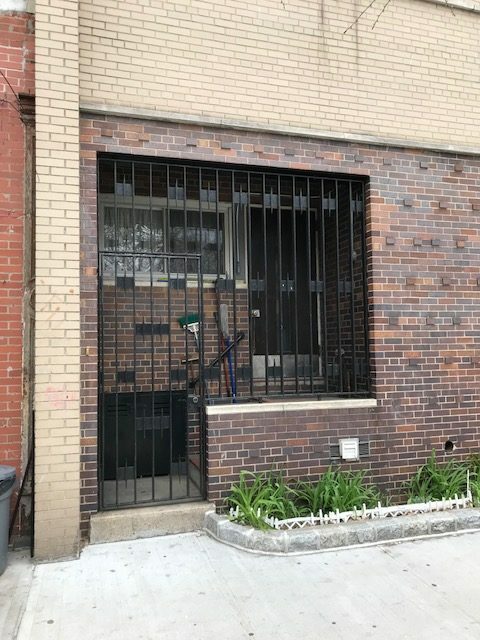 In 1922 he started his career as a draftsman and worked for a succession of firms for the next 17 years, most notably for Ralph Segal from 1928-36 and for noted apartment building designer Rosario Candela as chief draftsman from 1936-39 . While he did not work for ecclesiastical architects in his early years, he became primarily known for church architecture during his solo career. His obituary states that he designed more than 40 churches and numerous other religious structures including synagogues . His most famous work is the Catholic chapel at John F. Kennedy Airport, our Lady of the Skies. Sole did both the 1955 structure, which was demolished due to the need to expand terminals, and the subsequent one, which opened in 1966. The new structure fronted on a lagoon alongside Protestant and Jewish chapels, designed by Edgar Tafel and Bloch & Hesse respectively. Sole was actively involved in negotiating with the Port Authority of New York on the new building . It is unclear why Sole was selected as the architect, although he also designed the Christ the King complex in Springfield Gardens, which is the same parish as Our Lady of the Skies . This means he would have been familiar with Rt. Rev Msgr Francis C. FitzGibbon, the local priest who had some influence in the hiring decisions. According to letter from Sole to Bishop McEntegart, Sole and FitzGibbon fought for best placement of three chapels to be Catholic. Although appearing the same size, the Catholic chapel sat almost four times as many people as the other two. The building was designed with sloping sides to resemble a ship’s prow within the lagoon that all three chapels sat partially inside of. 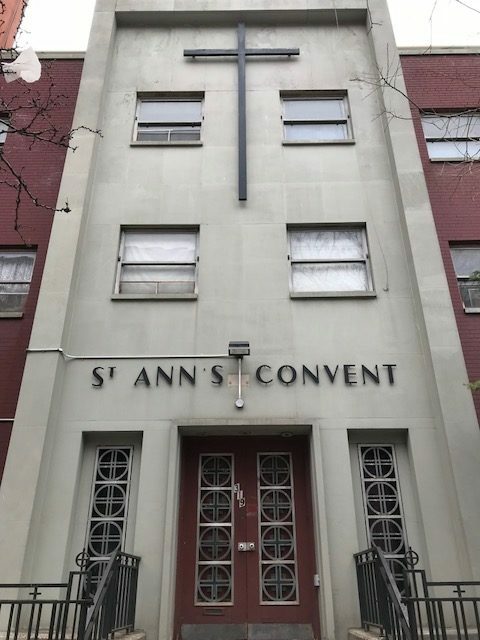 Sole’s most prominent extant work is Church of the Holy Family, the parish church of the United Nations, located on East 47th Street. The severe facade is covered in panels with a cross pattern has no windows and a low recessed entrance. The interior, which was decorated by Sole’s wife Antoinette is also restrained and features stained glass, ceramic plaques, and Stations of the Cross by artist Jordi Bonet. Antoinette is listed as an interior designer on firm letterhead and designed interiors for several other Sole projects, most notably, Our Lady of the Skies Chapel, but specific information on her contributions is difficult to find . Most other Sole projects are relatively modest, but exhibit engaging details many times using repetitions of the cross as a decorative element. At Our Lady of Mount Carmel Convent in Manhattan, crosses within circles make a pattern at the entrance. 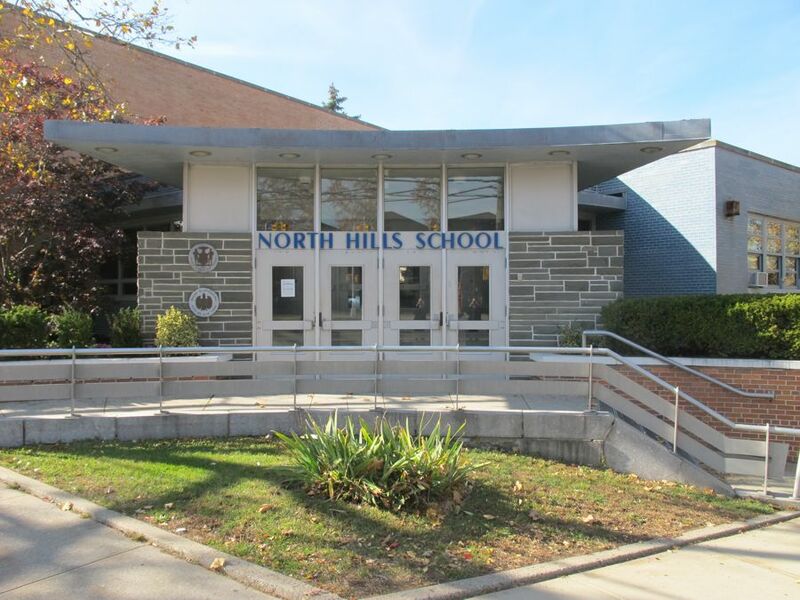 One secular project of note is North Hills School in Douglaston. This public elementary school is built on a difficult, steeply sloping site, with the entrance angled to the street at the highest point. The structure won a Queens Chamber of Commerce Building Award in 1960. Sole died in 1973 at the age of 65. American Institute of Architects membership application. 3 May 1943. AIA Historical Directory. Letter to Bishop of Brooklyn McEntegart from George Sole. 24 April 1962. Roman Catholic Diocese of Brooklyn, Diocesan Archives. Letter to Rt. Rev Msgr Francis C. FitzGibbon, Christ the King Parish, from Chairman of the Liturgical Commission. 16 February 1965. Roman Catholic Diocese of Brooklyn, Diocesan Archives. “Antoinette Rampinelli Sole; Interior Designer, 87.” 15 January 1991. The New York Times.